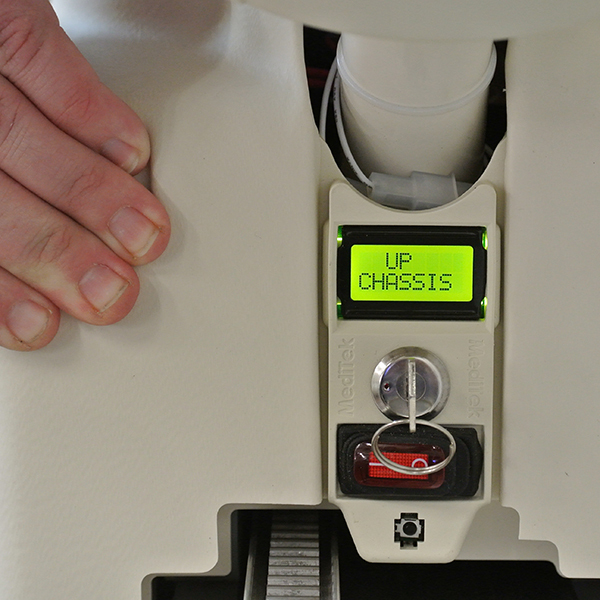 MediTek D120 from just £1595! 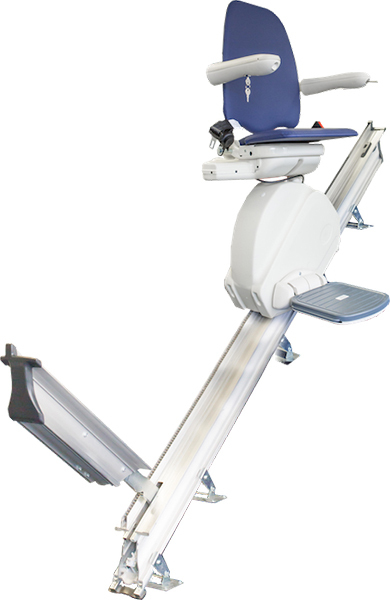 The MediTek D120 straight stairlift is the 'Deluxe' version of the E120-2. It is a supreme stairlift offering a variety of options and features to make it bespoke to your home, right down to the colour of your interior. 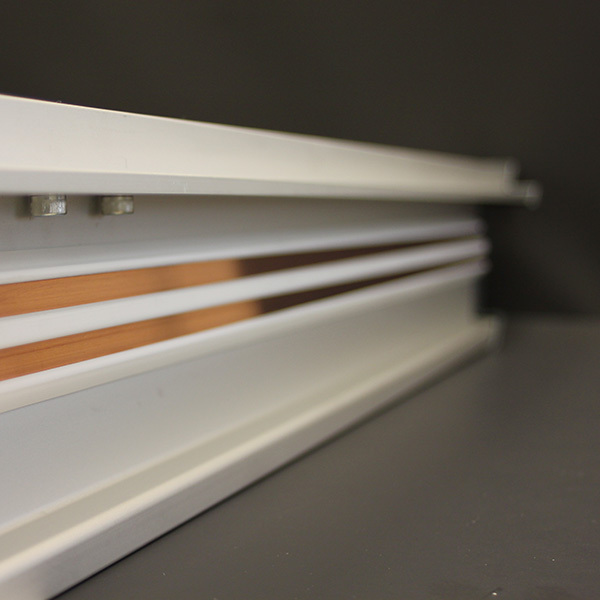 This custom-built model is stylish and adaptable and comes complete with a powered hinge as standard. This model is available new and also fully reconditioned. 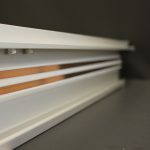 With a maximum weight capacity of 120kg the lift has numerous customisable options allowing it to fit all straight staircases and making the MediTek D120 'Deluxe' straight stair lift just right for you and your home. The MediTek D120 ‘Deluxe’ straight stairlift comes with a wide choice of upholstery colours which are washable and fireproof. These carefully chosen shades are sure to blend in with any decor. With unrivalled quality, comfort, and safety features even at entry-level, the D120 'Deluxe' is redefining the meaning of value. 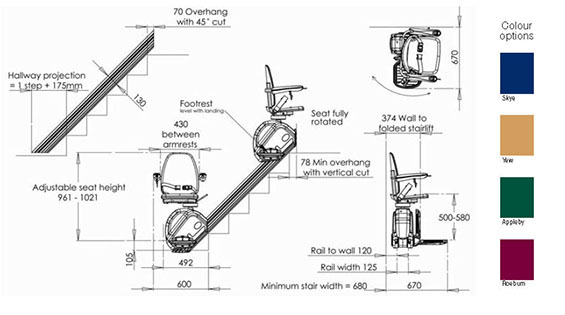 The winning design, mixed with the most popular options, dismisses the association between high caliber and high cost making the MediTek D120 straight stairlift a leading contender in todays market place. 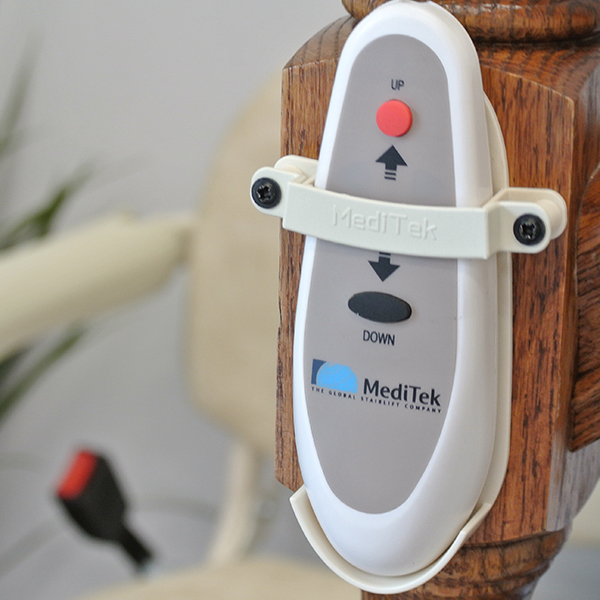 The MediTek D120 'Deluxe' straight stairlift is operated with a simple to use control joystick, located conveniently in the end of the arm. 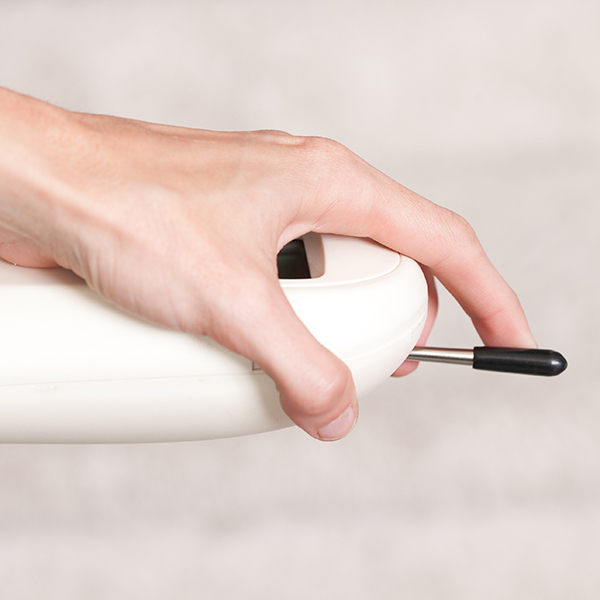 Simply push and hold in the direction of travel to move and then let go to stop. 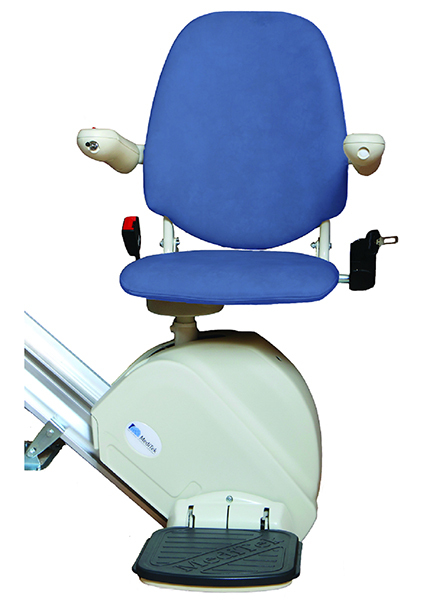 When not required the stairlift can be parked more conveniently using the remote controls supplied. 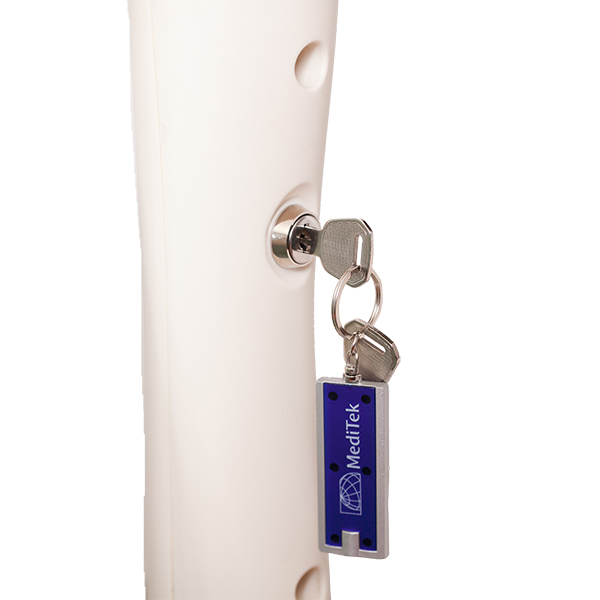 All MediTek D120 straight stairlifts have isolation circuits. 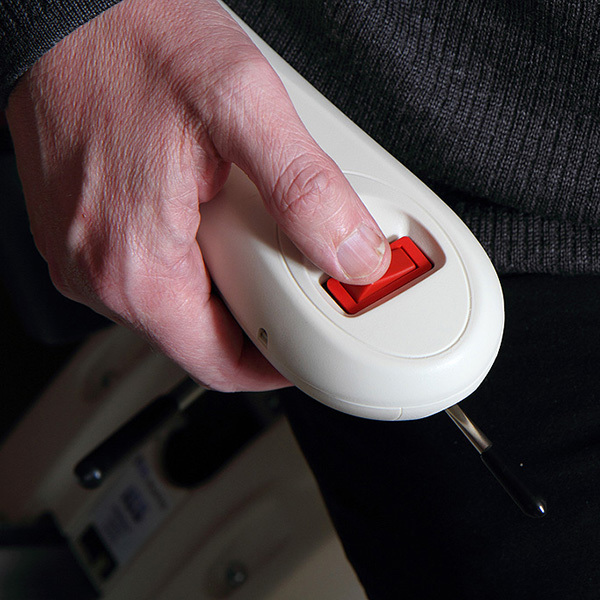 There is a typical key switch fitted underneath the arm to prevent misuse and to isolate the Stairlift temporarily when not in use, a practical on/off holding switch is fitted into the opposite arm. All MediTek straight stairlifts come with pressure sensitive safety edges that stop the Stairlift instantly upon contact with an obstruction. 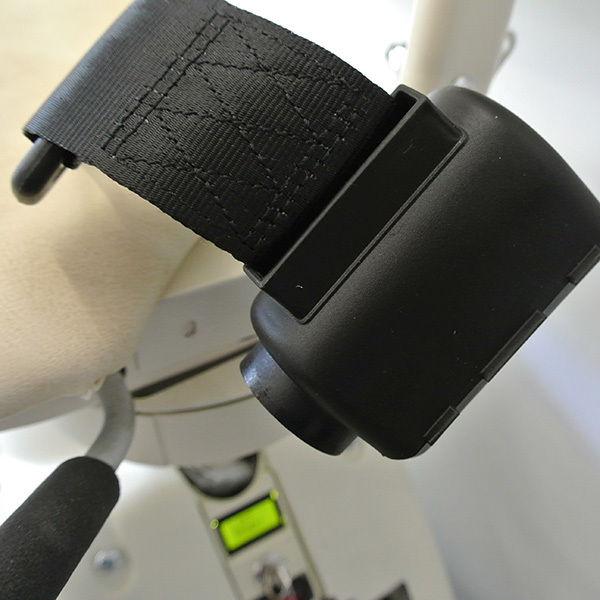 A familiar retractable lap belt is fitted as standard to every lift for added security. 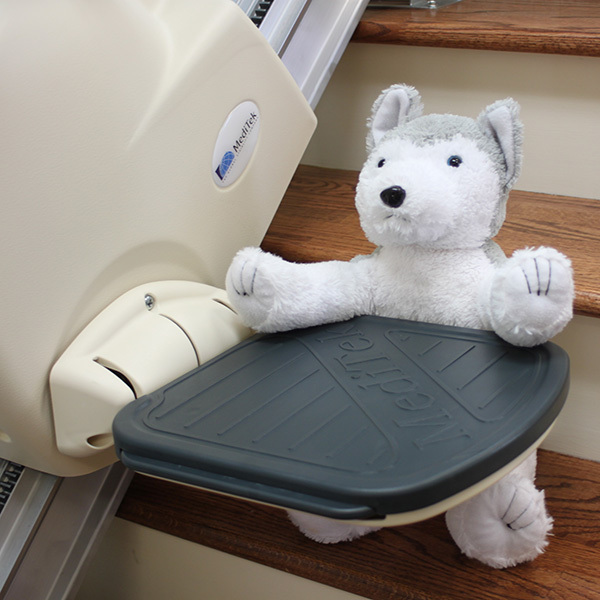 A unique feature of the MediTek D120 straight stairlift is the carriage cover. 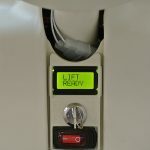 It is an active safety circuit rather than the usual spring loaded panels fitted to other lifts. 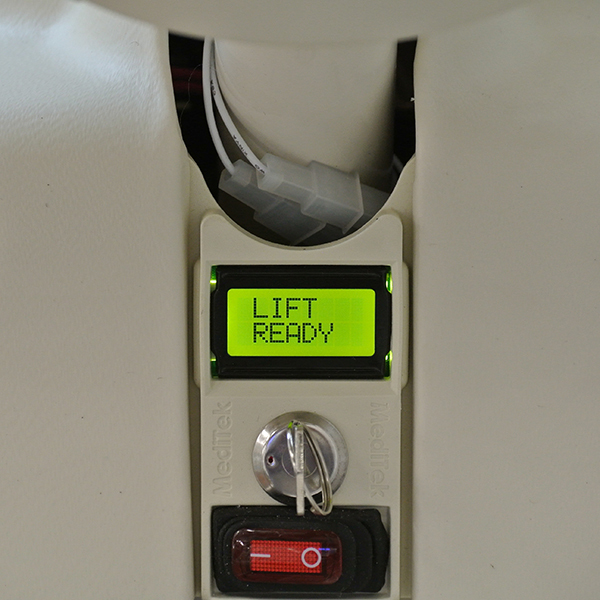 A state of the art LCD screen shows the current status of the Stairlift and any faults or alerts should you get any. 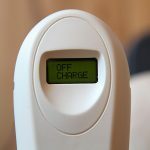 All MediTek D120 stairlifts have ICCC technology, a renowned class leading stairlift battery charging system that remains the best in the industry. This unique and yet essential feature was designed by MediTek to prolong battery life by ensuring the stairlift batteries are always on charge regardless of where the lift is parked.